Or at least remembering it has to be done. I don’t know about you but my biggest challenge as a wife, mom, and student is management. Just keeping track of it all, schedules, assignments, appointments, it can be quite overwhelming. Some moms use digital calendars, to do lists and reminders to keep them on track. That is a fantastic strategy if it works for you. I find that it is far too easy for me to ignore digital reminders especially if I am busy. I also tend to remember things better if I write them down. So I use a paper calendar. If you are on Pintrest you have probably seen posts about bullet journals. They are beautiful but far to elaborate for my needs. I do use bullet journaling techniques and ideas but in a way that works better for me. If you have a method that you like to use to remember everything, by all means use that! If some of my tips and techniques can help add them to what you already do. The first thing that is important about keeping a calendar is you have to use it. Everyday. Digital or paper be sure it is easy for you to get to and use. Secondly keep only one, I know it is tempting to keep one for work or school, one for the kids activities etc. I find that things get missed that way. If everything is in one place you will never forget something because you forgot to look at the right calendar. Now if you use a digital calendar on your work desktop that is fine, but merge it with you home calendar so that you can have everything in one interface. Another part of using it daily is keeping it handy. My calendar is fairly large but I carry it everywhere. (Big purses are the best!) Keep it with you, and put things in it right away. If you wait until later you will forget something. I personally use Day Timer’s Mom Planner. It is hard to get refills for and every year I threaten to use something else but it really is the best for my needs. 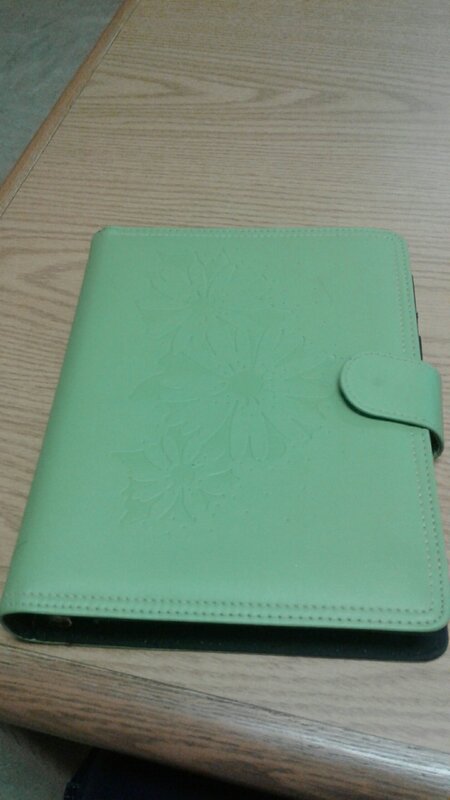 It has plenty of room to write and spaces for menu planning and to do lists. It is 5×7 inches and that is a convenient size for me. Like I said earlier, this isn’t an ad just use whatever works for you. Few other things to try that may help you manage your family a little better. I color code family stuff is always pink. 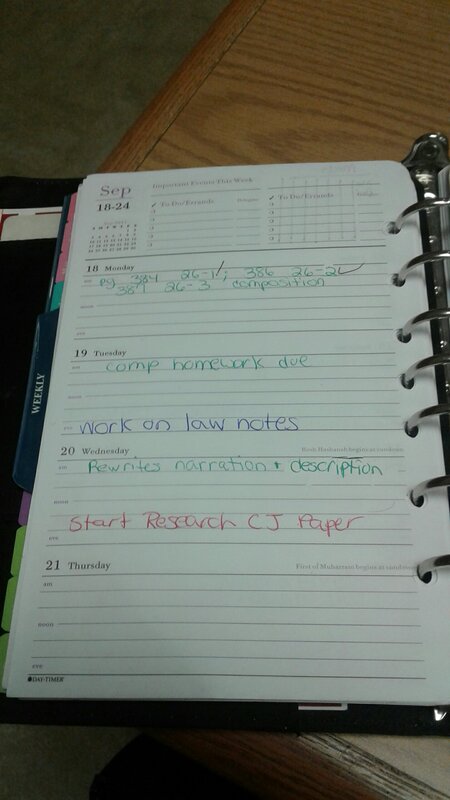 My classes are color coded too so I can see assignments at a glance. I do use the bullet journaling technique for to do lists. Things to do have a dot in front of them. When they are completed I make the dot an X. If I want to move them to another day I put an >. Then when I am planning my day tomorrow I move them. That’s another great technique, look at it EVERY night and EVERY morning. I hope these tips help you get your life and your family more organized. I still forget things sometimes, but keeping things in one place helps a lot. It doesn’t have to be neat.